For the first time of the world jazz festivals’ practice more than 40 bright improvisers from 16 countries will meet and unite in star music bands to determine the improviser in the drive atmosphere. Also premieres, exhibitions, workshops, and music surprises will be during Festival days. MJF is the first in the practice of the world jazz community annual year-round Festival-contest which uses global communication capabilities of the Internet. MJF is the International Festival-contest. the first season was attended by 271 talented improvisers from 41 countries of the world! MJF is the conceptually new project. It is based on the principle of jam session. This is both a serious professional skills competition and festival. 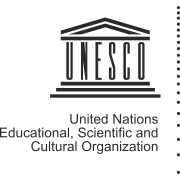 The international composition of the organizing committee and jury is consisted of prominent jazz musicians, journalists and connoisseurs of jazz. The chairman of the organizing committee is the well-known Russian TV host Yelena Khanga. The Jury President is legendary Anatoly Kroll. The specificity of this project is that not the bands or ensembles are invited to participation, but individual performers. «This festival is the first, who draws attention to the most important quality of a jazz musician. It’s the ability to improvise», — said the Jury president, the People’s Artist of Russia, Anatoly Kroll. Qualifying round — is completely interactive and takes place in the Internet space. Registration for participation in the Festival-contest is absolutely free of charge for musicians. Members of the jury and the audience get acquainted with the participants on the project website. In parallel with the jury polling, which determines the finalists, Internet-audience polling takes place online for the People’s Choice Award. Anyone of online participants can get this prize, even if he/she did not become a finalist. More than 270 jazz improvisers from 41 countries have already taken part at the Master-Jam Online Preselection. Professionals and jazz lovers from more than 140 countries follow the development of this project at the official website master-jam.com. The final part goes live in «jazz» cities of the world. All the expenses associated with travel and accommodation of those participants, who passed to the final round, are covered by the festival organisers. 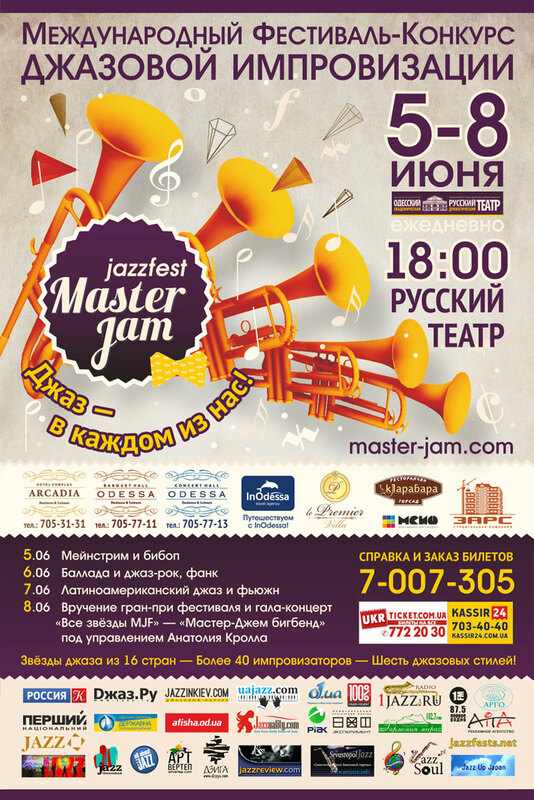 The first final of Master-Jam Jazz Fest will be held in Odessa from 5th to 8th June 2013 in Odessa Academic Russian Theatre (Ukraine). MJF Final days will be accompanied by TV and Internet broadcasts. At the Final days of the competition, each of the 43 improvisers will show his improvisational and ensemble opportunities in a variety of jazz styles — Swing and Bebop (June 5), Ballad, Jazz-rock and Funk (June 6), Latin jazz and Fusion (7 June). Each competitive day unfamiliar musicians able to create spontaneously will be brought together in ensembles by drawing lots. The new day of competition is a new style of jazz ensemble and new compositions of all the contestants. The Contest program of each of three days for each of ensembles includes three themes. Two of them are from the list of recommended jazz standards most often accepted during jam sessions, the third is a composition at contestants’ discretion in the style of the contest day. In June 8 the Festival Gala concert will be held. It will be the simultaneous performance of all the Master-Jam stars in the consolidated Big band under conduction of Anatoly Kroll, winners in each category («instrument») awarding and the Grand Prix awarding. Also on June 8 it will be the premiere of a member of the Lithuanian Composers’ Union, legendary jazz percussionist Vladimir Tarasov, who will be for the first time to play at the Master-Jam Fest Gala in a duet with the legendary Odessa pianist — Sergei Terent’ev. All contest days and the Gala will start at 18:00 (6 PM). And it will be another gift for Odessa during the Festival. It will be the presentation of the exhibition «The Sixties» by Vladimir Tarasov (artist, percussionist, composer, conductor) in Odessa Museum of Contemporary Art in June 4 at 5 PM (Belinsky 5 str.). And in June 9 at 12:00 one of the participants of the Master-Jam 2013, the leading American saxophonist, flutist and clarinetist, twice nominated for Grammy in the category of «the best jazz solo», Hernan Jay Rodriguez (USA) will make the workshop with all musicians and jazz lovers (Great Hall of the Odessa College of Art and Culture named aft. K. Dankevich (Dvoryanska 32 str). The enter and participation at the workshop is free. After the Gala concert in June 8 at 10 PM the main festival After party will be held at the new Concert-hall «Odessa» (Gagarin plateau, 5). After each day of the festival there also will be held «open jam sessions» at 10 PM: June 5 — at the night club «Park Residence» (French Boulevard, 85); June 6 — at the Italian restaurant «Fratelli» (Greek Street, 17 ); June 7 — at the «Arcadia Plaza» (Posmitnogo 1 str, Arcadia district). :: Alexey Bogolyubov (Ukraine) — jazz pianist and composer, who masterly combines Ukrainian ethnic traditions with Jazz (also as the member of the well-known Katya Chilly Group). :: Vitaly Phesenko (Ukraine) — the talented double-bass player, composer, arranger, the member of various experimental projects (classical, jazz, ethno-fusion). :: Nacho Megina Martinez — the Spanish jazz drummer, it is biased to rhythms of flamenco, Latin and even Indian rhythms, equally as the classics. :: Oleg Subbotin (Ukraine) — the permanent soloist of Odessa jazz orchestra, the pedagogist. :: Dominik Fuss — the Austrian jazz trumpeter from Vienna, multi-faceted in his musical direction (all kinds of jazz (from the 20’s to contemporary), Balkan music, funk, orchestral music). :: Evgeniy Handishko (Ukraine) — the trombonist, which is appreciated by Ukrainian jazz circles, he takes participation in different experimental projects, is opened to new experiences and collaborations, the permanent soloist of Odessa Big band. :: Vitaliy Tkachuk — the jazz guitarist, which is reputable in the Ukrainian jazz environment, he studied in Berlin and India, has collaborated and performed with jazz famous performers such as Chanda Rule, Ray Brown Jr., Ashley Slater, Louis Austin, Vladimir Chekasin, pop performers, he is interested the Indian classical music, plays on the bansuri (Indian bamboo flute). :: Carola Zerega — remarkable singer from South America (Ecuador), she also plays on percussion. In her performing manner Carola is devoted to the roots and traditions, delivering unrestrained delight and deep sorrow, fixed in Latin folk songs, and true jazz swing pulsation through her singing. :: Gregory Boyd (Denmark) — singer/songwriter and electric steel pan instrumentalist. Gregory Boyd lays down the vocals, incendiary electric Steel drum work and impressive songwriting skills for his unique new sound all of which has been described as the single most important thing that has graced the steel drum instrument. Gregory Boyd «plays his own blues inspired universal sound» — that is described by Pan on the Net as, «With the genius and aloofness of Monk, blended with the soulfulness of an Al Green, coupled with the musical presence of a Jimi Hendrix, Boyd can jazz, funk and ring in the blues, and have you shaking your head as you come to the realization he cannot be pigeon-holed». 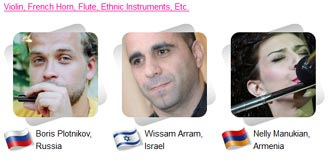 :: Nelly Manukian — the only one professional improvising jazz flutist in Armenia. Her first steps as jazz flutist passed under the leadership of known American jazz pianist Armen Donelian. For many years she played in Armenian symphonic orchestra of radio and television. She participated in different musical projects and jazz festivals of Armenia. Nelly performed with many musicians such as in Bobbie Sanabria, Armen Donelian, Garner Thomas, Ric Taylor, etc. She went on tour in England, Russia. Now Nelly cooperates with leading musicians of Armenia and with the state Jazz Band of Armenia. Being the musician improvisator, Nelly performs in various styles of jazz, jazz-rock, rock, fusion, Brazilian jazz and Latina. Finalists have already been defined by the Jury decicson, but the Online polling for the «People’s Сhoice Prize» is held at the festival website master-jam.com. The contestant who will be not a finalist of the Master-Jam Fest, still might be a winner and to get this Prize.